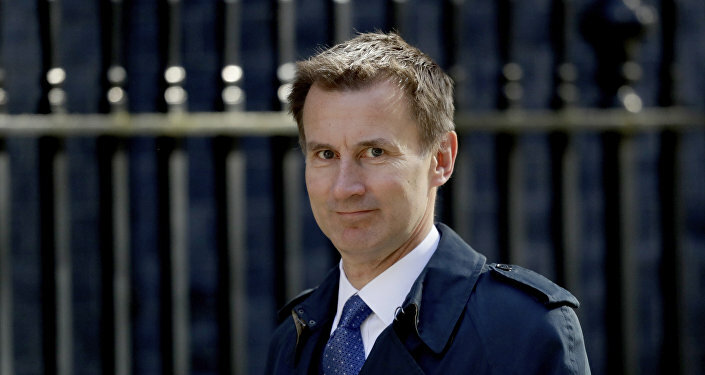 So Britain’s top diplomat Jeremy Hunt is in the United States this week calling for brutal sanctions on Russia – and, what’s more, he is also urging the European Union to join in the campaign to antagonize Moscow. Hunt's surname is an apt example of how humorous London Cockney rhyming-slang works. In his case, a vulgar word is invoked by his surname to express a person encumbered by low intelligence. Does Jeremy Hunt feel comfortable about trying to start World War III by pushing the Americans to ratchet up already provocative sanctions on Russia? The British foreign secretary — who took over from Boris Johnson, another "stupid Hunt" — is urging Washington to get even tougher on Russia based on all sorts of outlandish allegations of Moscow's "malign activity". Hunt says "from Crimea to Salisbury" Russia has been violating international laws and must be punished. The Salisbury mention refers to the alleged poison-assassination of a former Russian-British double agent and his daughter nearly five months ago. The Kremlin denies any involvement. Five months after the couple disappeared from public view the real onus should be on the British authorities to explain their whereabouts because the case looks a lot more like an abduction by Britain, not alleged assassination by Russia. Anyway, Britain's Hunt is going around the US peddling all sorts of anti-Russian fantasies and calling for the Americans to slap more stringent sanctions on Russia. Considering that the idiotic American politicians have already plans in place to attack the Russian banking system, they don't need any further incitement from this British so-called diplomat. The US, as with several other countries, took the British government's dubious word for it concerning the bizarre alleged poisoning of Sergei Skripal and daughter Yulia. Dozens of Russian diplomats were expelled from these countries simply on the say-so of London and its threadbare, unproven claims of Russian malfeasance. The British have in their inimitable way seriously raised international tensions with Russia through their bombastic claims. And seemingly not content with that damage, Foreign Secretary Hunt wants to make relations between the US and Russia even more fraught by urging more offensive sanctions. What Hunt doesn't seem to understand, nor the Americans, is that the proposed US sanctions targeting Russia's core economic functions are tantamount to an act of war. No exaggeration, this particular British official should be prosecuted for inciting aggression and war. What is it about Britain's foreign office? It seems that stupidity is the top criterion for getting the job of a minister. Recall how Hunt's predecessor, Boris Johnson, was a walking disaster for gaffes, like when he compared Russia's superb World Cup tournament to the 1936 Olympic Games held by Nazi Germany. Newly appointed Hunt, on a recent official visit to China, actually told Beijing delegates that his wife was Japanese, when in fact she is Chinese. He then quickly apologized for getting this wife's nationality wrong amid embarrassed laughter. What that episode illustrates is that Hunt probably forgot what country he was in. Momentarily, the Asian faces across the negotiating table made him think somehow that he was in Japan. Secondly, it also shows that these British politicians are charlatans. They are all about ingratiating themselves with whomever they want to manipulate at any given time for their own selfish interests. Hunt was trying to capitalize on his wife's biography because Britain is in such desperate need to work up trade relations. Only, the silly Hunt got it wrong. That is why Hunt is playing to the gallery this week in the US. 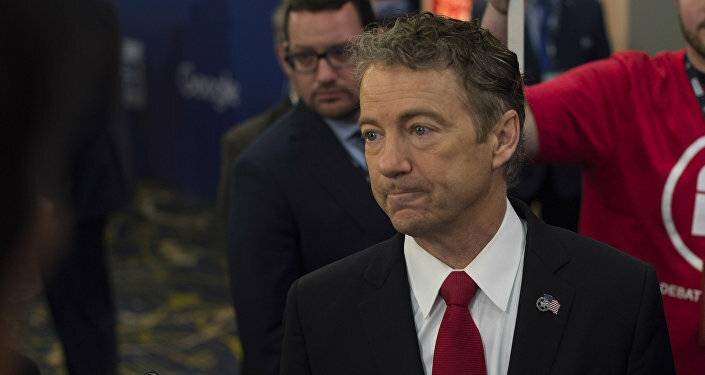 He no doubt feels that bad-mouthing Russia and winding up anti-Russian prejudices among gung-ho crazy American politicians is probably a way to put Britain in good stead with Washington, in order to extract economic benefits from trading with the US. That is all the more important given how Britain's economy is facing a meltdown over the Brexit debacle. What is contemptible, however, is that British officials are evidently willing to jeopardize relations between the US and Russia, the world's two nuclear superpowers, solely for wheedling some advantage for Britain's dire economy. That brings us to the other characteristic of British politicians, especially those in the ruling Conservative party. Not only do they have a surfeit of stupidity, they also excel in arrogance. Jeremy Hunt is calling for the European Union to join with Britain and America to ramp up sanctions on Russia. This advice is from a government which arrogantly thought it could quit the EU while retaining all the benefits of trading with the bloc. The Europeans are having none of this British hubris, and are telling London what the divorce terms are, not what Britain conceitedly thinks it deserves. So, Hunt's government has caused a major disruption in the 28-member EU since its referendum two years ago to leave. Britain is due to officially divorce early next year. But in a parting shot, while walking out the door, or rather getting kicked out on the global streets by the other EU members, the haughty British have the brass neck to lecture Europe about imposing more punitive sanctions on Russia. The US-British axis has already caused Europe tremendous harm in its relations with Russia, in spite of Russia being a natural partner on the continent. That partnership could be clearly seen last weekend when Germany's Chancellor Angela Merkel hosted Russian President Vladimir Putin at her official country residence near Berlin. The pair talked about strategic concerns over energy supply from Russia to Europe, as well as security dangers from the wars in Syria and Ukraine. Yet, here we see a jumped-up British diplomat this week telling the EU that it should shoot itself in the feet by jettisoning relations with Russia. Can you believe the arrogance? Britain is soon to be a global vagabond, and yet it is telling the EU to vandalize its strategic relations with Moscow. The sooner Britain is dumped by the rest of Europe, the sooner the continent's relations with Russia might be restored. The Anglo-American Cold War mentality of antagonizing Russia with absurd claims is something that Europe cannot afford to entertain. Such mentality has wantonly injured economic ties with Moscow and, if Britain's foreign minister Jeremy Hunt had his way, would lead to catastrophic war. A very stupid Hunt indeed. The views and opinions expressed in this article are those of the author and do not necessarily reflect Sputnik's position.